I was like a baking machine today. Originally I’d only planned to make a loaf of bread and some blondies but then Maziah texted me at 5 to see if I could make her the 25 cupcakes she wanted for tonight. And guess what? I could. 🙂 I am très awesome. 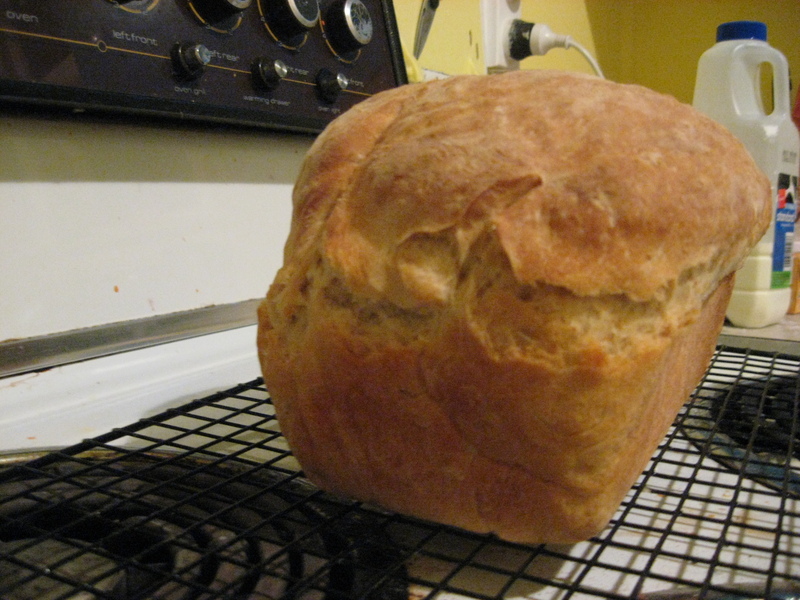 But first off, time to tackle the loaf of bread I made. I’ve made this a few times, in fact I used to make it all the time last year, and there’s nothing better than the smell of fresh baked bread – even the smell of fresh baked cakes can’t top it. The recipe came from Delia Online (Delia Smith’s website) and it is a brilliant and easy recipe. For those of you who don’t want to click a link I’ll post it here too. Delia Smith says to begin by warming the flour in the oven for about ten minutes but I didn’t do that and it still worked out so really it’s up to you….although you should probably follow the advice of Delia because, well, because she’s Delia Smith. Sift flour, salt, yeast and sugar into a bowl, make a well in the centre and add the water. Mix the dough, starting off with a wooden spoon and using your hands at the end. Add more water if there’s any dry bits. Wipe the bowl clean with the dough and transfer it to a flat work surface. 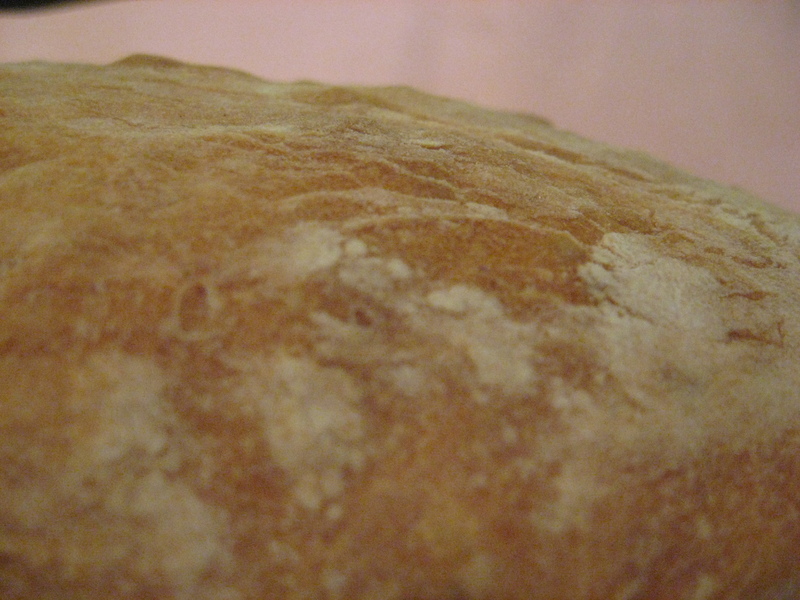 Knead the dough for 3 minutes or until in develops a sheen and is springy and elastic. Put the dough back in the mixing bowl or a clean bowl and leave it covered until it appears to have doubled in bulk ( this should take about 2 hours at room temperature). After that, turn the dough out on to the work surface again and knead for 2 minutes. While your waiting, turn your oven on to 450F (230C). Bake the bread on the centre shelf, two small loaves for about 30 – 40 minutes and one big loaf for about 35 – 45 minutes, until they sound hollow when the base is tapped. Tip the loaf out of its tin and stick it back in the oven for about 5 minutes to crisp the base and sides. August 8, 2008. Tags: Baking, Bread, Delia Smith, Loaf, Recipe, White Bread. Baking, Bread. Leave a comment.